Treviño (left) and Meckel edited the Atlas. 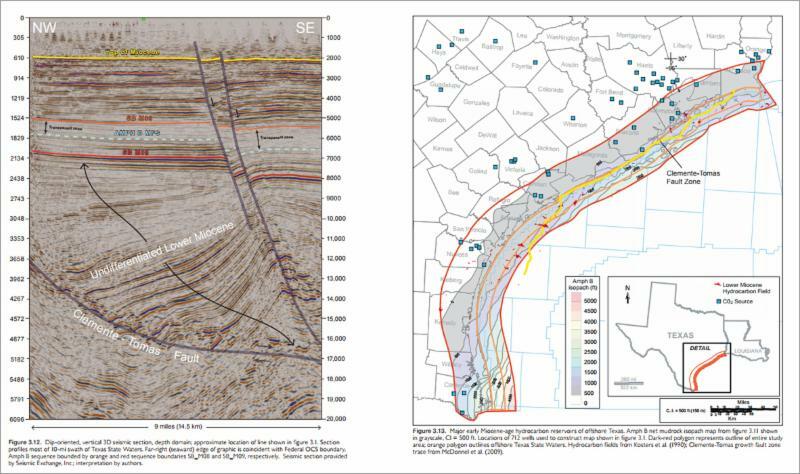 GCCC is delighted to announce the release of the latest Report of Investigations from the Bureau of Economic Geology titled, Geological CO2 Sequestration Atlas of Miocene Strata, Offshore Texas State Waters. 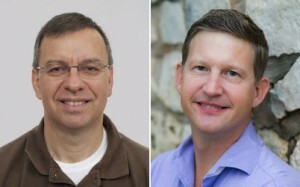 Ramón Treviño and Tip Meckel are the editors of the Atlas, which summarizes research undertaken as part of a multiyear study (2009-2014) of Texas State Waters and the adjacent Federal Offshore Continental Shelf. The goal of the study was to assess and analyze existing data from historical hydrocarbon-industry activities in a regional transect of the Texas coast in order to verify the ability of Miocene-age rocks of the region to safely and permanently store large amounts of anthropogenic (industrial) CO2. Perhaps the best reason for assessing near-offshore Texas waters is their location in the Gulf of Mexico basin, one of the world’s largest accumulations of porous sedimentary rocks with proven fluid-trapping capabilities. Prior hydrocarbon exploration history has set the stage for successful and low-risk carbon capture and storage (CCS) deployment at offshore locations in general, and the near-offshore waters of Texas in particular. Benefits of these offshore locations include suitable geology, abundant and high-quality geologic data sets, proximity to CO2 sources, reduced risk to shallow sources of drinking water, higher likelihood of public acceptance than for onshore locations, and favorable leasing scenarios from single landholders. The Atlas provides a resource for exploring the geological CO2 sequestration potential of the near-offshore waters of Texas via large-scale regional and qualitative, as well as detailed quantitative, information that can help operators quickly assess CO2 sequestration potential at specific sites. This is the first comprehensive attempt to accomplish this goal in the near offshore Gulf Coast and United States. An example page of the Atlas. Posted in Susan Hovorka.Tagged Capacity, Carbon Capture, CCS, Knowledge transfer, Site selection.